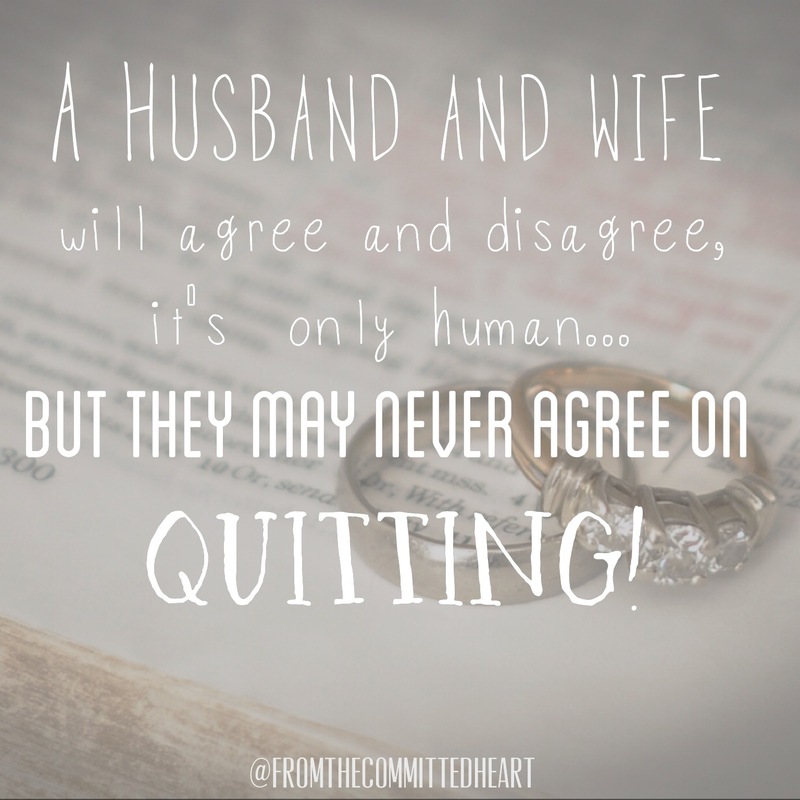 A husband and wife will agree and disagree, it’s part of being human and having different personalities…but they may never agree on quitting. Start your marriage off right and never use these words…separation or divorce. Don’t speak them, don’t even think about them. Quitting is not an option. Agree to push, press, run or whatever it takes to get through every obstacle that comes your way as a couple. “What God has joined together, let no one separate.” Including the two people who said “I Do”! This entry was posted in Marriage and tagged agree, commitment, Husband, marriage, wife by fromthecommittedheart. Bookmark the permalink.